Enter the Kind Reader monthly drawing for a chance to win a $25 Amazon Gift Card. To enter the giveaway visit www.kindreader.com and click on the Click Here to Enter the Kind Reader Monthly Drawing link at the top of the page. You can enter by sharing on Facebook or Twitter or writing a blog post. Visit www.kindreader.com for more details. 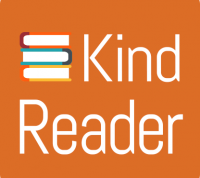 Kind Reader offers free and cheap ebooks for you to download for your Kindle.